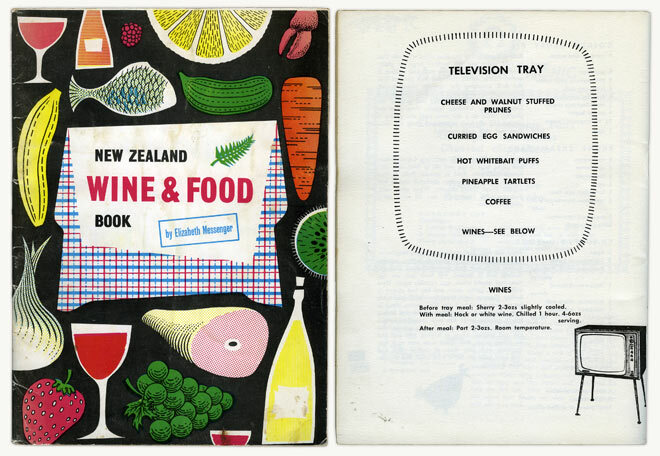 Elizabeth Messenger's New Zealand wine & food book (1961) added a touch of sophistication to the repertoire of local cooks at a time when wine did not commonly appear on domestic tables. Messenger provided clear instructions about which wines to serve with different foods and the temperature at which different wines should be served. Her food and wine matching even extended to the television dinner, which involved eating off a tray in front of the family TV. At the time, television was in its infancy so eating in front of it would have been a novel and less casual affair than in later decades.